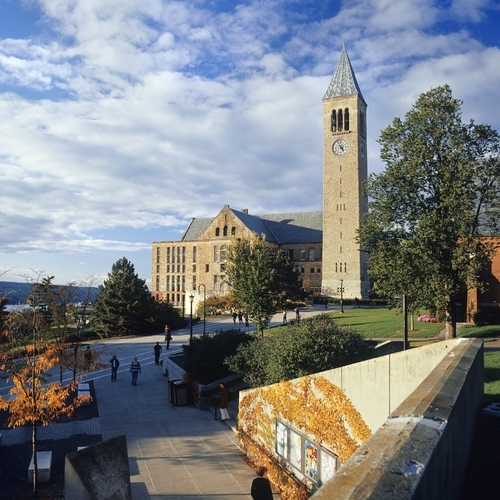 Communication majors at Cornell learn how communication interacts with media, science, and technology, while developing skills to succeed in complex work environments. The communication curriculum offers students opportunities to experience the breadth of the field and to develop a depth of understanding in a chosen focus area. Specific topics that Communication majors study are as diverse as the faculty and students who explore these areas in Communication research projects and courses. The core curriculum provides majors with a foundation in fundamental communication theories and concepts, allows them to develop oral and written communication skills, and instructs them in common communication research methods. After completing the core curriculum, all majors must complete an additional eighteen credits in communication courses distributed among advanced writing and presentation courses, electives, and focus area requirements. Students must also complete three credits of introductory-level statistics outside of the department, as part of the major requirement. Develop familiarity with ideas fundamental to scholarship in the social sciences, with mastery of principles of key communication theories. Demonstrate understanding of how processes of social influence operate in communication contexts including science, media and technology. Apply systematic analytic skills to pressing social and policy issues. Develop communication knowledge and skills to enter into and succeed in complex social organizations. Recognize the foundations, assumptions, and methods of communication research, and be able to apply a wide range of empirical research methods to diverse intellectual questions. Write and speak lucidly, logically, and intelligently.